5G Summit 2018 is the largest unbiased mobile industry event, attracting mobile broadband professionals and the hardware and software companies that serve them. The year 2018 will be gifted with the bright opening-up of 5G Summit you will be able to attend the most valuable industry event where you will meet the entire wireless ecosystem. 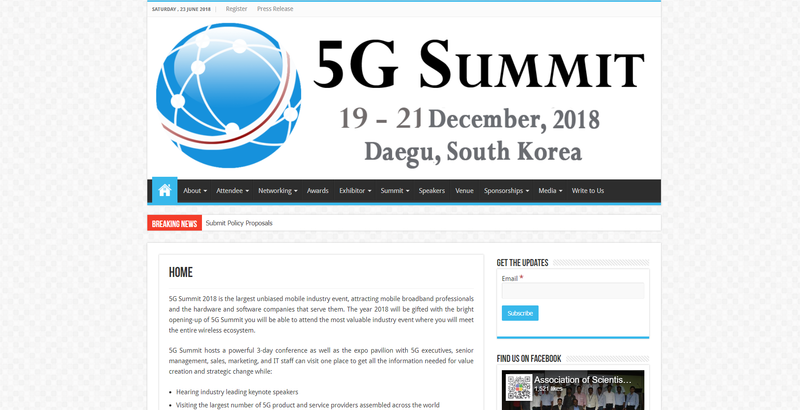 5G Summit hosts a powerful 3-day conference as well as the expo pavilion with 5G executives, senior management, sales, marketing, and IT staff can visit one place to get all the information needed for value creation and strategic change while.